Oh the weather outside is frightful… but your wardrobe can be delightful! 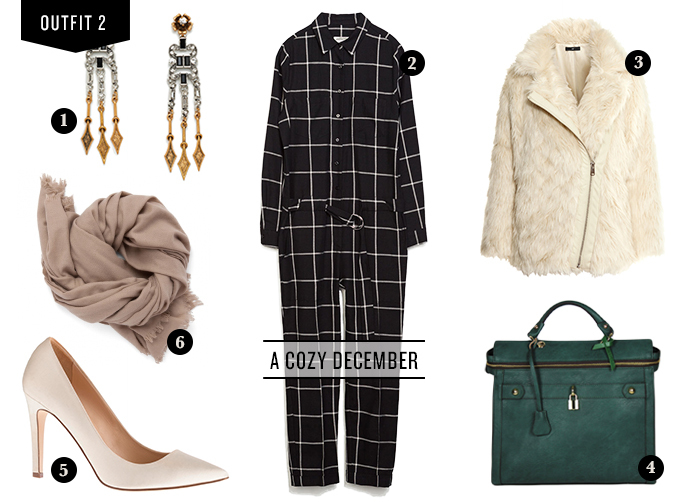 We’re sharing two outfits to help you stay cozy and warm all season long. 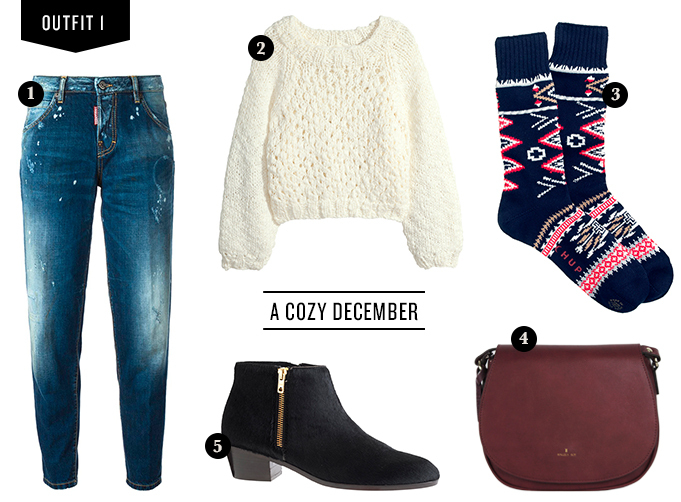 First, if you’re still longing to wear your cropped jeans with ankle boots, pull on a pair of cozy socks. Patterned are a plus – you want to show them off! And for those dressier occasions – ditch the cocktail dresses! We love that jumpsuits are sticking around this season because they’re chic but won’t chill you to the bone. We’re such suckers for style AND function! 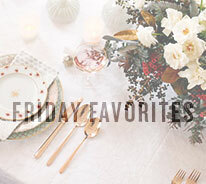 Click here to see their beautiful collection and enter code RUE15 at checkout to get 15% off! We love the concept so much that we’ll be gifting these to all of the ladies in our life AND picking up one for ourselves, too. Shopping that gives back? Well that’s the best kind. I love that faux fur coat from H&M!